KUALA LUMPUR (Feb 28): Malaysia's central bank is expected to hold its benchmark rate on Thursday, as the economy has improved after struggling due to poor global oil and commodity prices for more than a year. Southeast Asia's third-largest economy saw stronger growth over the past two quarters on an uptick in exports, though recovery has been offset by continued weakness in the ringgit currency. Nine out of 10 economists polled by Reuters forecast Bank Negara Malaysia (BNM) will keep its overnight rate at 3.00% on Thursday. Kenanga Investment Bank said economic indicators in recent months provide little reason for the central bank to follow up on its 25 basis point cut in July, and that the present rate is "accommodative" for growth. "The probability of a rate cut has largely receded... currently we think the rate will hold at 3.00% for 2017," said Kenanga economist Ian Lim. After slowing for five straight quarters, annual growth rose to 4.3% in July-September and 4.5% in 2016's final quarter. Full-year 2016 growth came in at 4.2%, the slowest since the economy contracted in 2009. 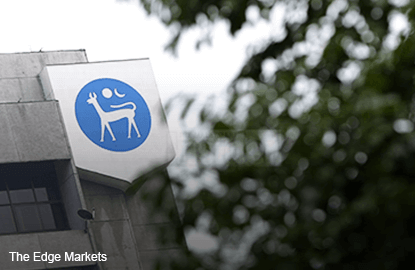 Following the July rate cut — the first in more than seven years — many analysts expected a second, but the central bank held off as the ringgit was under pressure. In November, the central bank stepped in to discourage ringgit trade in the non-deliverable forwards (NDF) market, and later introduced measures to boost onshore ringgit trade. The ringgit was at 4.444 against the dollar in mid-afternoon trade on Tuesday, up 1.2% this year but still 11.2% weaker than in July. The ringgit hit a near 19-year low of 4.4980 to the dollar on Jan. 4. Rahul Bajoria of Barclays said a quickened pace of annual consumer inflation, which hit 3.2% in January, and stronger economic expansion suggest the central bank will remain "comfortable" with the current rate. Irvin Seah, an economist at DBS bank, said the higher inflation and "tentative signs of recovery" give BNM little room to move. "We see no chance of further easing, and to revert to a tightening stance may be premature," Seah said. The government expects growth of 4.0–5.0% this year.